The current earnings season is winding to a close, and overall it has been a pretty positive season. Earnings season always has its fair share of disappointments, so stock rankings can shift a lot. 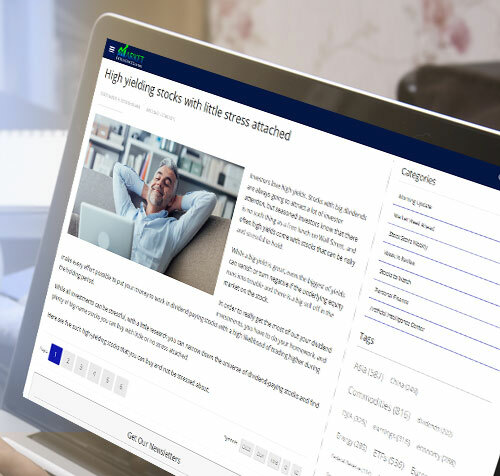 Staying on top of which stocks remain strong, and which stocks are starting to show weakness can be a daunting experience, but using InvestorsObserver’s Stock Score Report can help you easily stay on top of all the changes that are taking place. The Stock Score Report combines both technical and fundamental scores when ranking the overall stock universe, so the stocks that remain near the top of the rankings have not only shown recent market strength, but also have strong enough fundamentals to warrant shares building on their recent gains. Let’s take a look at five stocks that remain near the top of the rankings and look attractive as earnings season winds to a close. Credit card company Visa (V) is near the very top of this week’s rankings with an overall Stock Score Report ranking of 91. A strong economy with low unemployment is great for payment processors, and American households are carrying a lot of credit card debt. Visa reported fiscal Q3 earnings of $1.09 per share toward the end of July that was 11 cents above the consensus. Revenue was up 13% year over year. Visa trades at $140.45 with an average price target of $153.17. V has near perfect technical scores, and with a forward P/E of 20.4 and earnings expected to rise 21.2% during the current year there appears to be more upside left in the stock. Conn’s (CONN) is a specialty home goods retailer. The company is expected to grow earnings by 135% during the current year, and by an average 25% per year over the next five years. Conn’s most recently reported earnings in June, shattering estimates on both the top and bottom line. 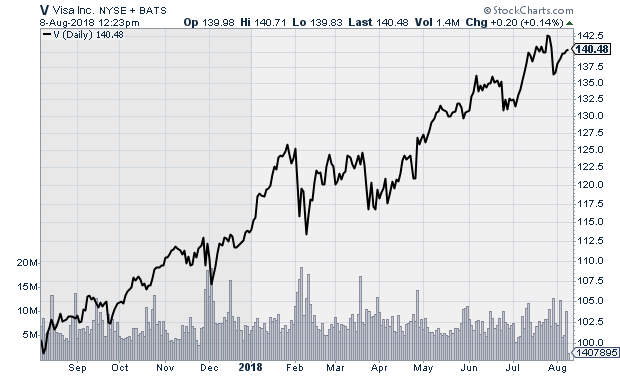 The results shot the stock higher, and it currently trades just shy of its 52-week high. Stock Score Report gives the stock an overall score of 90. Strong technicals and fundamentals should keep the stock moving higher. 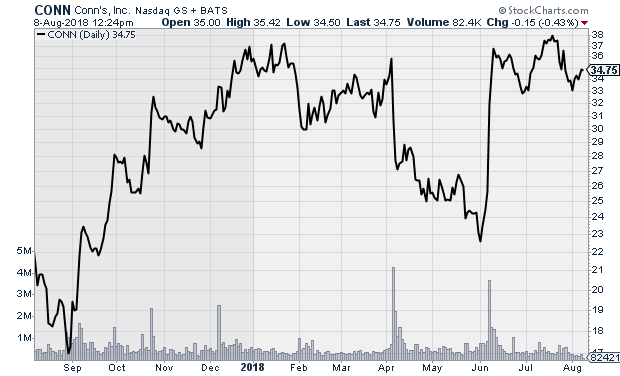 CONN currently trades at $34.95, well below its $43.00 average price target. Alphabet (GOOGL) is the parent company behind search engine giant Google. Google dominates the search market, with the only real competition coming from social media leader Facebook (FB). The two companies control the sector, and Google continues to enjoy strong growth. Earnings rose 13.1% per annum over the last five years, and is expected to rise by an additional 18.1% on average over the next five years. The company shattered estimates on both the top and bottom line, with revenue rising 25% year over year. Stock Score Report gives GOOGL an overall ranking of 91, and with a big post-earnings jump the stock gets near perfect short and long-term technical scores. 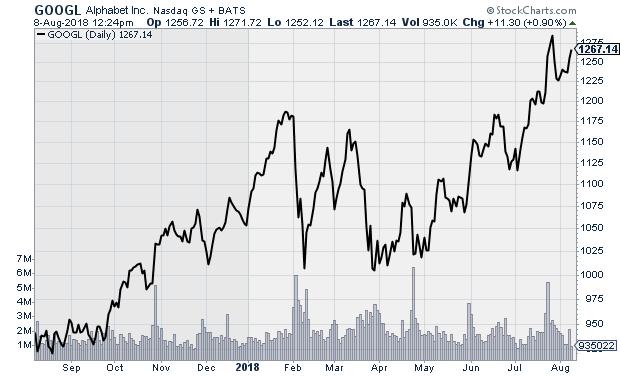 The stock trades at $1,268.34 with an average price target of $1,359.86. Celanese Corp (CE) is a specialty chemicals company. The company reported Q2 earnings of $2.90, well above the $2.45 consensus which pushed shares higher to new all-time high. Not only did the company shatter its earnings estimate, sales were up 159% year over year. Looking ahead, analysts forecast earnings will rise by 14.9% per annum over the next five years, which should keep strength under the stock moving forward. Stock Score Report gives CE an overall score of 90, with the stock’s long-term technical ranking a near perfect 97. 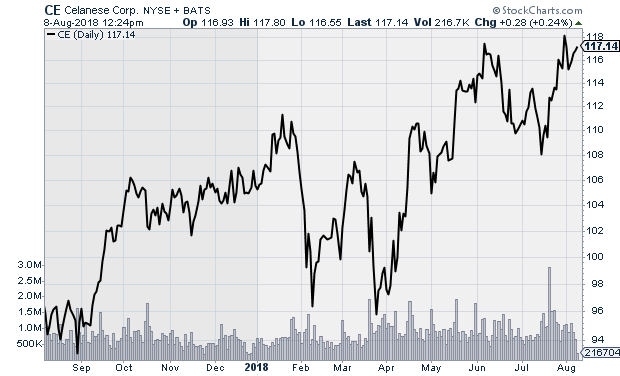 Fundamentals also remain strong, and analysts see the stock rising from $117.50 to $128.86. 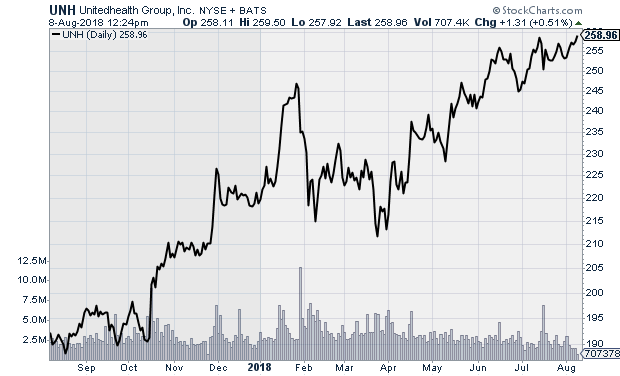 Health care company Unitedhealth Group (UNH) has enjoyed steady gains over the last year, and shares are currently trading just shy of their all-time high. The company reported better than expected quarterly numbers mid-July, with earnings up 27.6% year over year. The stock has a reasonable valuation, with a forward P/E of 18.0 and earnings expected to rise 15.4% per annum over the next five years. The stock gets an overall Stock Score Report rating of 91. UNH gets a strong buy rating, and analysts have an average price target of $285.56 on the stock versus its current $259.00 price.